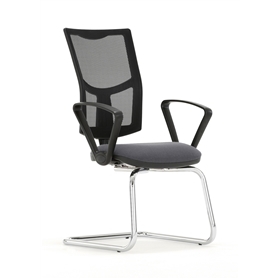 A stylish mesh back cantilever visitors chair with or without arms. Choose either a black or chrome frame. 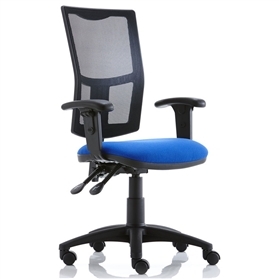 The chair has a wide range of fabric colours. An extremely comfortable chair for long meetings. 5 Year Manufacturers Guarantee.